As a game itself, War and Magic is quite straightforward. You build troops, research technologies, and build structures to increase your power, and then you take your forces and lay waste to all who oppose you. The one thing that this game has going for it is the battle system, which is unlike anything you might have seen in any other mobile game. 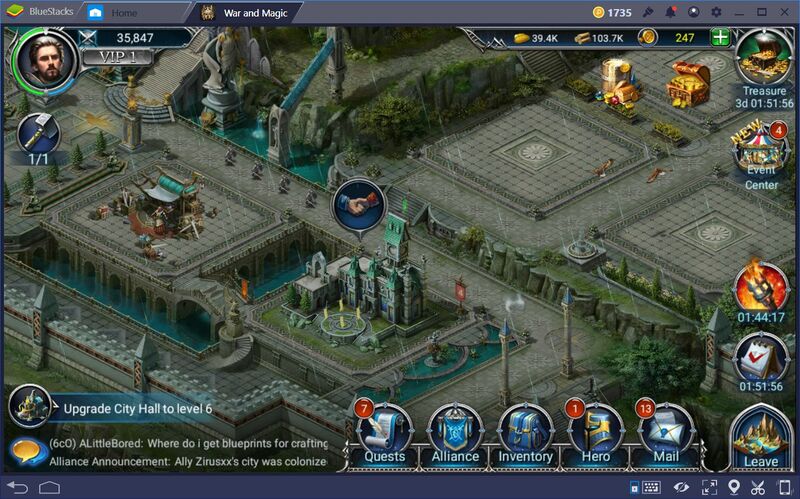 However, if you’re a fan of the Heroes of Might & Magic games, you might find that said system is very familiar. In fact, you could even say that it’s a straight up copy, and you wouldn’t be wrong. 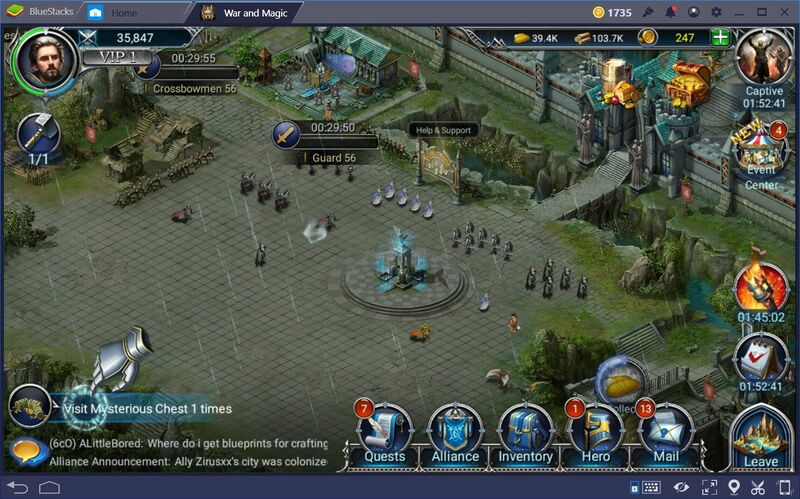 Regardless, this is the only thing in this game that you could say is technically a copy of another popular series; War and Magic has many other elements that add to its uniqueness and makes it shine among the rest. Furthermore, mastering these elements will be vital to ensure your continued success in this game. 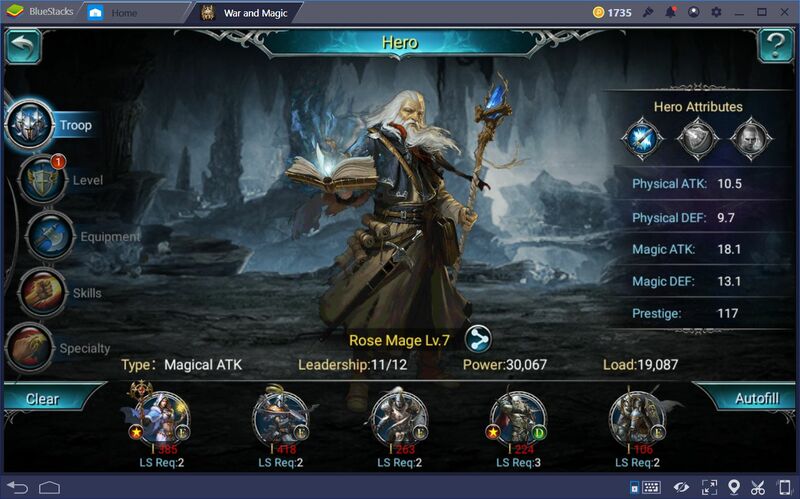 For this reason, we have decided to create a guide explaining two of War and Magic’s most unique systems, as well as how to use them to further your cause. 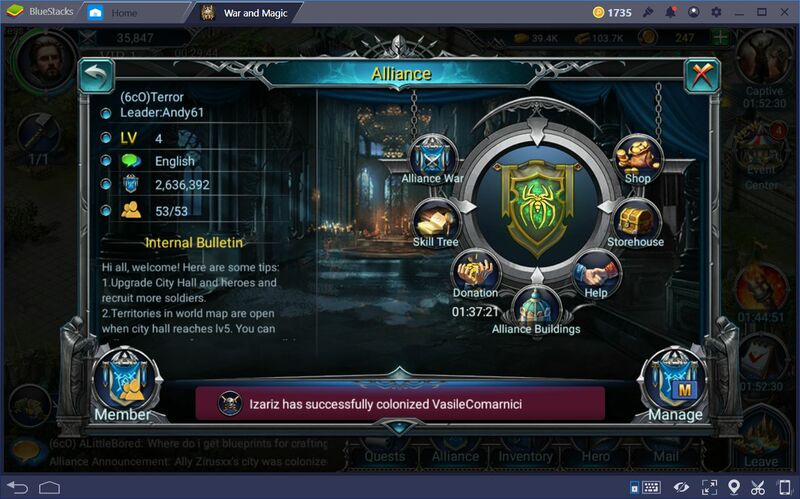 In most conquest games, there is an alliance feature that lets you band together with a group of peers in the hopes of pooling your efforts together. Through your combined forces, you will be able to take on challenges that are much too difficult to achieve on your own, and your probabilities of survival will increase because of it. Like in most games, joining an alliance has several inherent benefits. For starters, when you join a group of allies, you will immediately gain indirect protection from enemy attacks. A good alliance will serve as a deterrent from would-be foes that seek only to plunder resources and cause havoc in your city. This is because, if they seek to attack you to steal your resources, they would risk suffering repercussions not only from your own forces but also from your allies that reside in neighboring areas. A smart enemy would think twice before attacking someone that is surrounded by their teammates. Furthermore, when you join an alliance, you will be able to receive assistance from your peers in the form of construction, research, and recruitment acceleration boosts. Every time that you choose to begin a project, you will be able to ask for assistance from your allies to speed things up. The only thing they must do in order to respond is to simply click on a button on their embassy, and your projects will be accelerated by a small amount. Similarly, once you gain access to the embassy, you will be able to assist your allies in their own endeavors, so make sure to always click on that handshake button whenever it appears on top of this building. 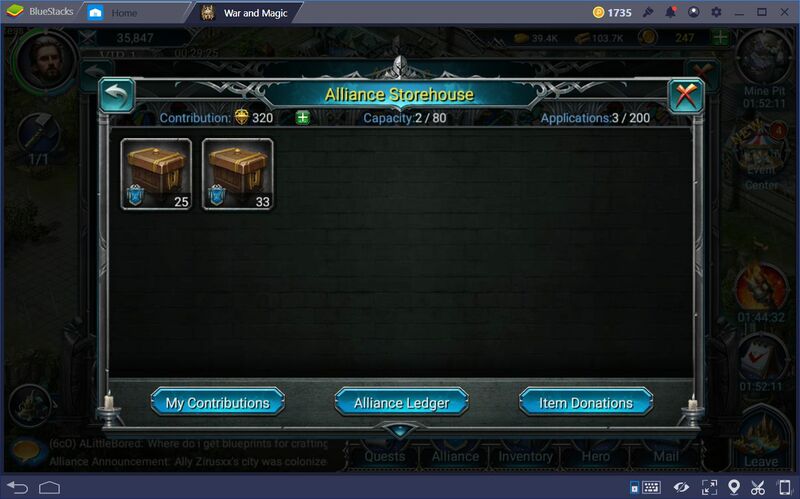 Now, the unique aspects about alliances in this game are the resource donation, storehouse, and alliance shop features. When you’re in an alliance, you may begin to accumulate contribution points, which can be traded for several goods, including gold keys, reputation, silver keys, and teleport scrolls, among many others, on the alliance shop. There are many ways to get contribution, the easiest of which is to donate resources to the alliance storehouse. 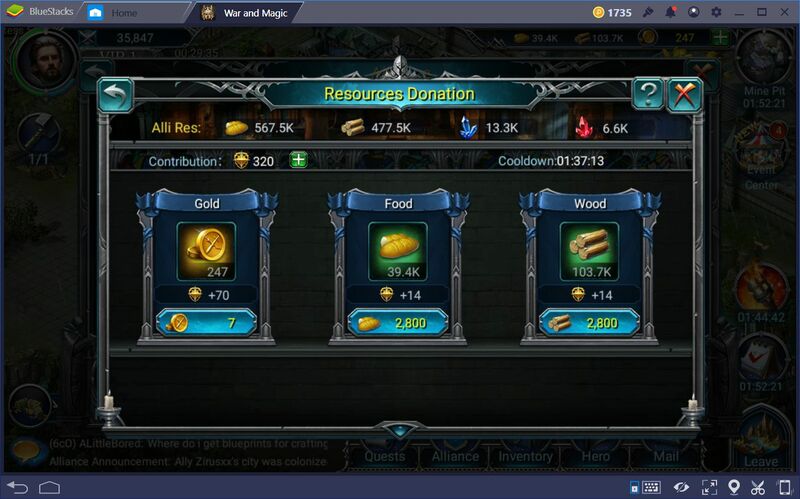 In this manner, you can give some of your resources in exchange for these points. Lastly, you can also take resources from the storehouse by purchasing them with contribution, which is a great way to give and take from your band of brothers-in-arms. 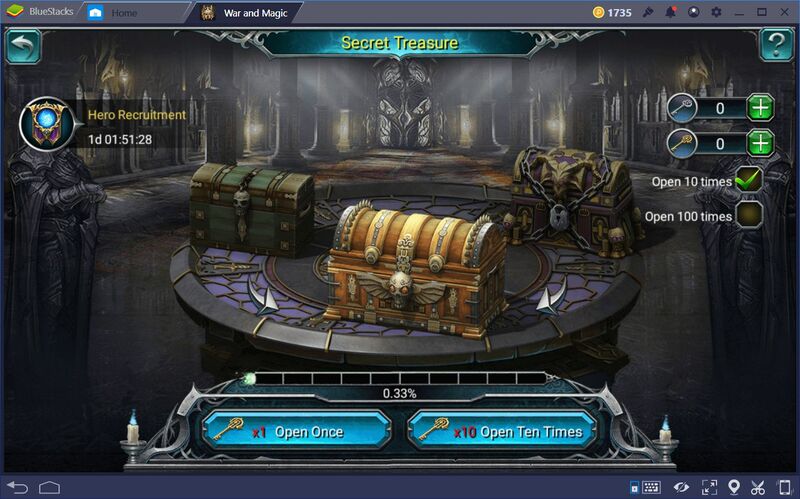 The downside of many mobile games is that, since most of them have many systems and mechanics, there are a few that are not properly explained, or that their importance is not immediately apparent to the player. The attributes, while fairly simple in most games, is one of such systems that are seldom properly explained in detail. Sure, you might know that the strength (STR) of a hero will play a vital role in his melee damage in most games, or that his intelligence (INT) will influence the strength of his magical abilities. However, in War and Magic, your heroes don’t interact directly in battle, which means that, while they are physically present in each encounter, they cannot be controlled nor moved like any other unit. Instead, they remain behind, giving orders and using spells. In this sense, the significance of their attributes might be somewhat confusing at first. Nevertheless, while they don’t interact directly against the enemy forces (except when they cast spells), the attributes of your hero will increase the damage done by the troops under their command. In this sense, it’s important to choose an appropriate hero for the type of troops you want to deploy. For instance, since the Rose Mage has good magic ATK and magic DEF, you could use him to tackle creatures that use magic attacks while mounting your counterattack using your own magical prowess. In the same manner, there are many combinations you can try out to your advantage. Lastly, the hero system also has one more important aspect that we should mention here: the buffs. By clicking on any of three icons located on top of your hero attributes, on the top right corner, you may activate any of the three hero buffs available, which include defense boosts, attack boosts, and prestige boosts. 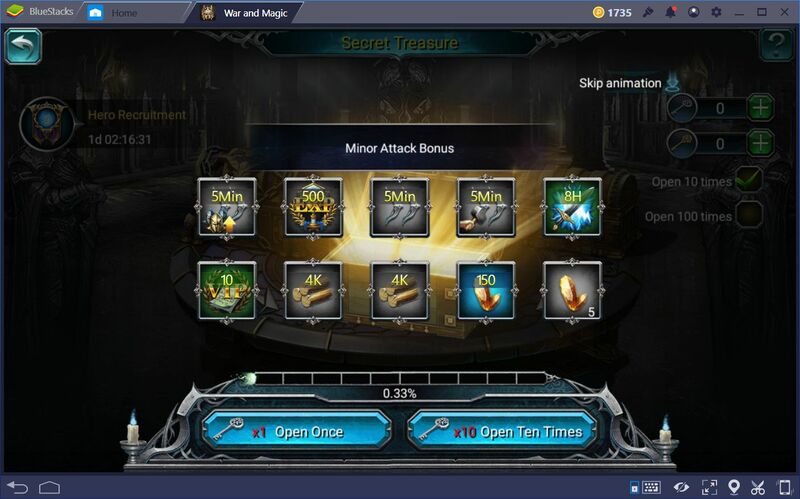 However, these buffs can only be obtained by a few means, including opening chests with silver and gold keys, purchasing them with gold from the merchant, or simply getting them from packs in the store. Nevertheless, these buffs are amazing for when you must go up against fearsome world map beasts, or for when you’re preparing yourself to defend against a siege. Whatever may be the case, always make sure to use the appropriate buffs and boosts to prepare accordingly for the occasion. Also, don’t be afraid to use the minor buffs generously since they are quite common and easy to come by; it’s better to use a buff and prevent potential losses than to lose soldiers because they weren’t strong enough to endure enemy attacks. 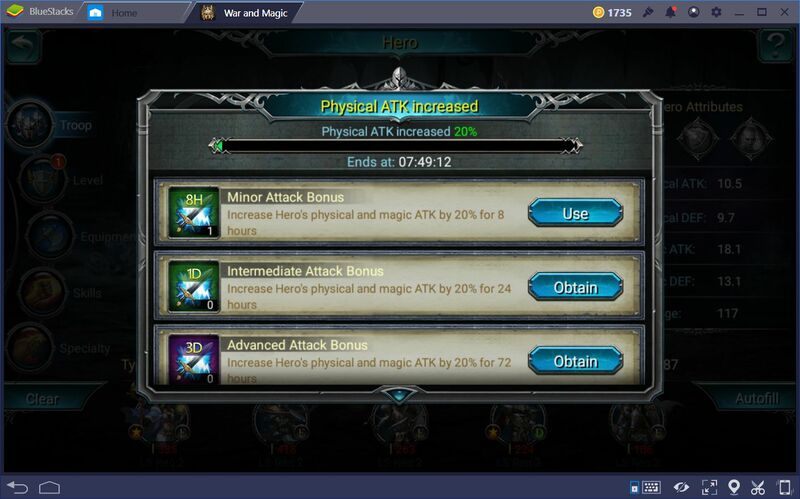 These are the most important tips about War and Magic’s unique mechanics. Do you know other tricks that anyone could use to improve their performance in this game? Feel free to share them below!